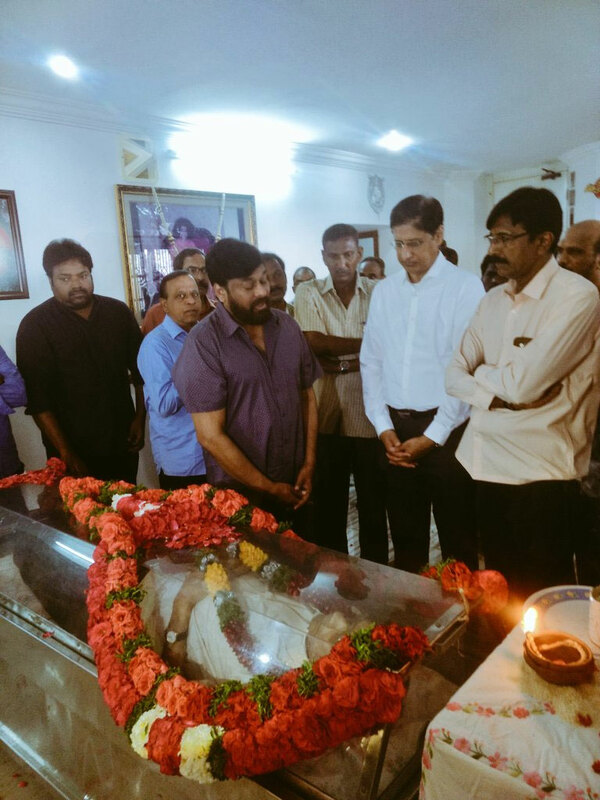 Megastar Chiranjeevi paid rich tributes to senior top director Vijaya Bapineedu on Tuesday. Vijaya Bapineedu, who directed eight films with Chiranjeevi such as Patnam Vachina Pathivrathalu, Maga Maharaju, Mahanagaramlo Mayagadu, Hero, Magadheerudu, Khaidi Number 786, Gang Leader and Bigg Boss, breathed his last on Tuesday. Vijaya Bapineedu celebrated then industry hit Gang Leader's success function in four locations on the same day and which was never heard feat in the history of Tollywood. Prior to have entered cine field, Vijaya Bapineedu would pen detective novels with quite interesting themes. He would also run super crazy magazines like Vijaya and Neelima. Chiranjeevi recalled his bond with Vijaya Bapineedu. He said the director would treat him like his younger brother. Especially, Vijaya Bapineedu won the love of mega fans creating a historical feat. The director launched first of its kind magazine on Chiranjeevi which also titled Chiranjeevi. While all the other magazines were priced at just Rs.2 or Rs.3 then, the high quality Chiranjeevi magazine was priced at Rs.15 and Rs.20. Even then, it turned out to be the largest selling magazine then. The magazine would cover exclusive details of Megastar's films. Fans would cut Chiranjeevi's pics and posters from the magazine and would paste them on the walls of their houses. Vijaya Bapineedu's demise pained mega fans and other movie lovers. May his soul rest in peace!